In this post I will share with you a few tips and tricks from my personal experience and will tell you how I managed to save 16.000$ in just 5 months. In the past few days I went for my last vaccination shots (5 in 1) and I also requested the international driving licence for my crazy motorbike runs in Vietnam and Indonesia. In both places, when I explained my plans, they asked me for how long was I going to be away and where. 1) You don’t need to be a millionaire to travel the world. 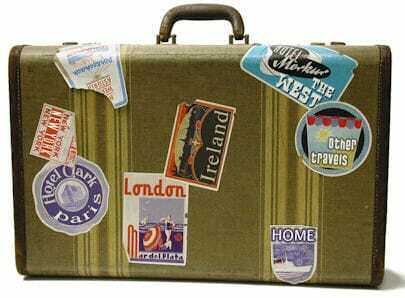 2) Work or study are NOT the only reasons why a common person decides to travel extensively. HOW DID I MANAGE TO SAVE 16.000$ IN 5 MONTHS? Was I a prostitute? (how charming). Were my parents financing my trip? Did I inherited uncle Gustav’s flock of sheep? Well none of the above is correct I’m afraid. Good news: Everyone can achieve similar results. Unless you have 10.000$ debt or similar. Other than that, it is possible to save this kind of money. RENT: London is crazy expensive and my biggest monthly expense was the rent (around 800£), so I asked my good friend,and soon to be travel mate Paolino, if I could stay at his place. He agreed and I paid him 300£ per month. This way I was saving more than 500£ per month in rent, and I was also helping him saving his bit for the trip. A win – win situation! Ok we lost our independence but it was also a very good test for our resilience during the trip! SELLING MY BELONGINGS: I put all my stuff in 4 boxes: To sell, to give away, to keep, to ship back home. It took me more than a week to sort everything out. In the end I catalogued the “selling stuff” , I took pictures, created a Power Point presentation with prices on it, and put together a separate price list in excel. I sent it out to my friends and acquaintances, explaining my project and asking to help me out. It worked! 🙂 It took a few months and a lot of patience, but the response was incredible. In addition to this, I sold the remaining items (dresses mainly) on eBay. 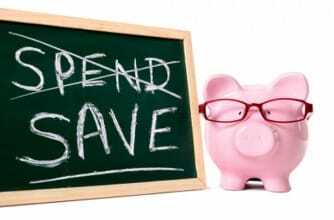 REDUCING MY GENERAL EXPENSES: For 6 months I forgot about going out for drinks, eating out, movies, shopping, expensive care products and accessories (unless it was something I needed for the trip). My only expenses were: RENT, FOOD, TRANSPORTS. That’s it. Was it hard? not for me, my dream was so big that these “sacrifices” were just a way to reach my goal. But if you foresee less than bearable suffering I suggest to either take more time to save or to splurge once in a while with a couple of drinks or a movie to keep your own sanity! CREATING A SAVING ACCOUNT FOR THE TRIP: I already had a saving account, and as soon as my project was definitive I devoted it to the trip entirely. This implied that every 25th of the month, when I got paid, I transferred a fixed amount of 1400£ into it. No exceptions. I could not touch it for any reason. This was my biggest saving income. I was very lucky as my job allowed me to save that much every month. I’m aware that not everyone is that lucky. Reading other travelers experiences, when they didn’t earn this much, they make more sacrifices (I.e find a second job) or delaying their departure until they reached their ultimate goal. Doesn’t matter how long will it take, it is so worth it! COMPANY SHARES PLAN: Even before planning my crazy trip, I set up a monthly saving scheme with my company: every month they deduct a fixed amount of money from my salary to buy company shares at a discounted price. They were blocked for 3 years so I couldn’t sell them, but I had the option to collect the money if ever I decided to quit my job. UNPAID HOLIDAYS: When I quit my job I had many days of vacation left and by contract they had to pay for them. I’m leaving with around 14.000USD, which I hope will last enough to fulfill my travel plans! I hope this mini guide can be useful for those of you in the process of saving for your own super adventure. As you can see, I’ve been there too and I though that I was a LOST CASE, since my family could not help much, and I had considerable monthly expenses to cover. My story only proves one thing: when you really want something, you will find a way and creative solutions you’d never considered before. I think it all boils down to your priorities and how badly you want your dream to become true! I know of people who spend 600/700 $ per months in drinks alone, or dresses, shoes and so on. Nothing wrong with that. I understand that not everyone has my set of priorities. What I’m saying is that if you have the travel bug like I do, Saving the money for your trip is POSSIBLE. Believe in it, plan it, work hard on it and finally take that plane to your favorite destination! What are your tricks to save money? Feel free to leave a comment below! Very insightful and helpful. I might start doing the same for my one year long trip! I should! I think there is quite a bit of double counting here. If you earned £2k a month and saved £1.4k a month, rent and expenses savings are overlapping with that and you can’t add them. I am surprised nobody spotted that. By the way this is not saving. This is called liquidation: selling clothes, cashing in shares, getting paid for untaken holidays. By the end of it you had more cash, but you were overall “poorer” than before. I am not trolling – I think someone largely followed on the web owe her followers some better fact checking. Thanks for this post! This is particularly inspiring for me. I’m living in Shepherd’s Bush at the moment and the rent is a killer – it’s draining my money fast. Living in London has been a massive learning curve for me! Now, time to start saving for my next escape! Well done Kle! I agree London is super crazy so I’m really impressed with you being able to save so much money on your travels. I really like the idea of putting all your belongings into 4 different boxes. You sound like a very organised person! Hey Chris!oh i know it so well! when friends ask you to go out and you invited them home…it’s been my policy for months, but it’s fun for me! i’ve been there too, saving like crazy, just work and then back home. friends would ask me to go out, i’d tell them “come home and let’s cook dinner and watch a movie, i need to save traveling money” lol. yes, ppl call us lucky but they just can’t get it’s as simple as setting THE GOAL as you said. still i’ve been told, by the same ppl, that it’s not worth it to sacrifice everything for 11 months just to travel for one.. the little they know..
Hi Marvin, ah! you asked me a good question really! i dont have an exact amount, since i stopped tracking it after a while. But let’s say that the main expenses (flights, insurance, backpack etc) were around 1400£….not bad! Where are you heading first for your trip? good luck! Thanks so much for sharing it. This is so inspiring! How much did you spend for your pre-trip gear? i’m trying to collect as many info as possible as i’m planning my rtw trip too..